With a combined 55 years of experience, our team at Everything including the Kitchens Inc! consists of certified designers, decorators, sales personnel, furniture and cabinet makers, and installers. Working on all levels, from budget-conscious designs to custom-built creations, we help our valued customers enhance their kitchen and bath renovation investment. Our bespoke line of cabinetry through Ken’s Cabinets is completely customized to the space and is uncompromised in quality, much like a perfectly tailored suit. 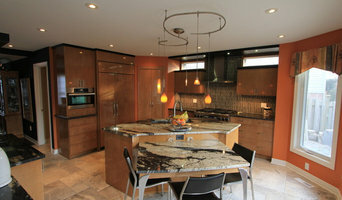 Kitchens Inc. is committed to providing inspiration in design with a focus on functionality. 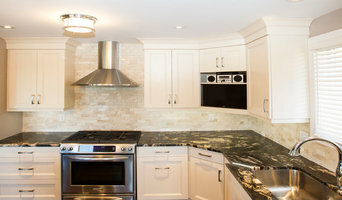 We pride ourselves on being the purveyor of products and services befitting a client’s dream kitchen. Whether you are a professional chef looking for your dream kitchen or a family looking for the ideal entertainment space, we are here to create a beautiful and functional environment that exceeds any desire. Our projects truly become the heart of the home, a warm and welcoming environment where families can gather daily and friends are entertained on special occasions. Here at CRS, we strive to make your dream home a reality. With over 11 years of experience and over 2,200 renovations completed in Southern Ontario, CRS has become a leading home renovation company providing a one-stop shopping experience for homeowners. We take pride in the work we do and we strive to cater to your needs. Our priority is you and the happiness you get from your home. We build lasting relationships with our clients, providing peace of mind and ease as we do all the work for you. Doug Jones, founder and C.E.O. of CRS, started his small countertop manufacturing business in 2005. Over the years we have grown with our CRS community to include full home renovations, specializing in kitchens, bathrooms, basements, laundry rooms, living rooms and outdoor spaces. Ardis Kitchens Baths & Beyond is your one stop for all your renovation needs. 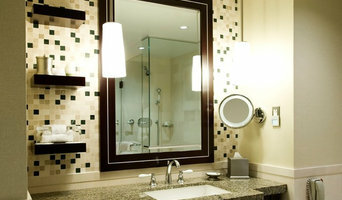 We are the experts when it comes to residential and commercial renovations, and construction. We have been in business since 1969, we have 3 generations of family actively working in all capacities. We began specializing in custom cabinetry in 1995 and in 2003 we changed the name from Summerhayes Builders to Summerhayes Enterprises Inc. and Ardis Kitchens Baths and Beyond was born. Want quality renovation work done at an affordable price? Look no further! We work with you from the moment you call to plan and execute a custom plan that will transform your home. Our division, "Ability Design Build," specializes in creating functional spaces based on unique accessibility needs, while maintaining the style and beauty of the home. Contact us today! We are waiting to build your dream home. Millennium Construction & Design Inc. has more than 20 years of experience in high quality, custom renovations and in building custom infill homes designed to meet client’s budgets and lifestyle. As a company that has seen many projects through their entire project lifecycle, Millennium can help you through every step. WANDA ELY ARCHITECT INC. is a Toronto-based architecture design practice, specializing in contemporary, inspired, and thoughtfully detailed residential projects. Wanda graduated from Waterloo School of Architecture in 1998. After working for a number of award-winning firms on several commercial, hospitality, retail and residential projects, she launched Wanda Ely Architect Inc. in 2011. Her projects to date, which have been featured in Chatelaine, Toronto Life and DesignLines, set the tone for a practice dedicated to the beauty of contemporary architecture. Each project begins as a thoughtful search to understand the desires of the client and to identify and draw out the meaningful qualities of the environment, which together form the inspiration for the design. From initial inspiration to the detailed crafting of space, the work of the practice depends on a careful mediation of aesthetics and function, with the aim to transcend both. The firm’s motivation is to create buildings and spaces that bring delight to the lives of those who use and occupy them. Wanda’s interests lie in both the private and public realms. She has established herself as a professional known for her integrity in both design service and client relations. 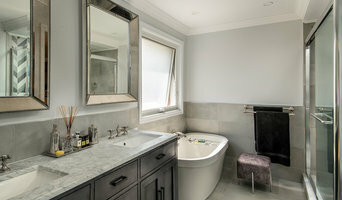 Best of Houzz 2017, 2018 and 2019 Custom Builder and Renovator Founded in 2008, The Gatti Group Corp., is a full service General Contracting Company specializing in Custom Residential Building and Renovations. Our focus is to create individual, one of a kind, highly detailed, finely crafted homes and spaces for our clients' unique tastes, lifestyles and budgets. At The Gatti Group Corp., we understand that the key to a successful build or renovation is understanding our clients' priorities and desires for their new or newly renovated homes. With over 40 years of combined experience in the industry, The Gatti Group Corp. along with our team of professionals and experts will guide you through your project from the initial design to final execution. Through our commitment to our clients, we have been able to build a broad base of loyal clients who continue to refer family and friends. Please contact us for a consultation. JE Carpentry is a small company serving the Brant County area. We are focused on providing top quality interior renovations and interior finishing. From renovations to any room in your house to custom mill work, JE Carpentry is here to bring you the living space, kitchen or bathroom you've been dreaming of. JE Carpentry is owned and operated by Jared Emmerson. With over 15 years experience of providing quality workmanship and quality products you can count on me to get the job done right in a timely manner. JE Carpentry provides services to all of Brant County and surrounding areas. A fast, focused and efficient 'one-project-at-a-time' design/build and general contracting firm in the Toronto area. We are small, and that's our key advantage. Larger builders run multiple projects simultaneously, shifting crews and trades from jobsite to jobsite - which keeps THEM busy, but inevitably results in delays, inattention and neglect for YOUR project. So many builders get partway done and then get distracted by the next big project, so yours drags on and on. Not with us! Our single-project focus ensures that YOU are the top priority throughout the course of your renovation (read our reviews!). We don't move on to other jobs until your project is 100% complete. We always finish what we start, on time and on budget! We also provide complete design, architectural, permitting and construction services, as required. Post Architecture is a boutique architectural firm specializing in custom home design in downtown Toronto. We are known and respected for our sensitive integration of modern design in traditional contexts. We offer a full range of architectural services from design consultations to Committee of Adjustment applications to construction review. We collaborate with a team of engineers, interior, and furniture designers, to offer our clients a seamless construction or renovation process, and the expertise to complete their vision. A 1.5-hr on-site consultation is the first step in our 5-step project management process. It is a great tool in the effective launch of any design project. Use it to navigate through municipal by-laws, construction budgets, timelines, and design ideas to sort out the first steps. The fee for this service is $365 + HST (travel fees may apply if more than 10km from office location).